Your pursuit of a painless method for a smooth and silky face ends here. Kaya Skin Clinic’s Laser Hair Reduction procedure promises an easy, pain-free way to hairless facial beauty. Imagine not having to wax, thread, or pluck stray hair from your face every other day. Life-changing, right? Laser Hair Reduction at Kaya Skin Clinic will help you achieve just that. From customizing your procedure to suit your skin type to helping you visibly reduce pigmentation on your skin, all your needs will be taken care here. Let’s take a peek at this trending cosmetic procedure that’s helping women break stereotypes everywhere. Kaya Skin Clinic’s Laser Hair Reduction procedure helps you visibly decrease the intensity of hair growth in the treated area. Concentrated laser beams focus on the hair follicles and get absorbed by the pigmented parts of the follicles. They thus selectively target highly pigmented hair follicles, leaving the surrounding area alone. 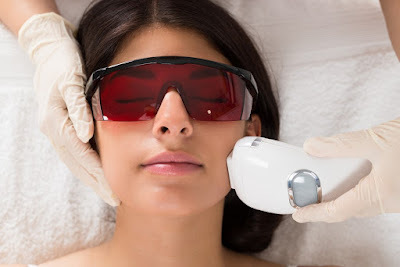 Laser Hair Reduction is more than just zapping out unwanted hair follicles. This is a cosmetic procedure that requires expert guidance; the professionals on hand at Kaya guarantee you just that. 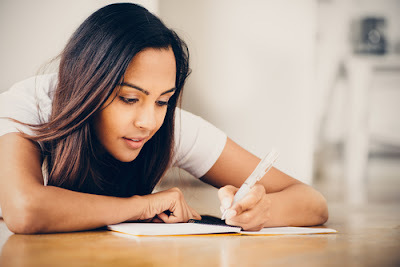 You shouldn’t wax or pluck your hair six weeks prior to the treatment, so that you retain the roots of the follicles—these are the primary target. You should also avoid getting tanned prior to and post the treatment to avoid complications. The hair on the area to be treated is trimmed to just a couple of millimeters prior to the treatment. The intensity of the beam is personalized to suit your hair color and thickness, and the sensitivity of your skin. The actual removal is a short, painless procedure that’s over before you know it. Kaya Skin Clinic uses US FDA approved Nd-YAG advanced laser technology for the laser hair reduction procedure. The equipment is modified to suit Indian skin and effectively carry out significant hair reduction without causing any side-effects. You’d be required to undergo multiple sessions depending upon the results you achieve after the first session. Before you dive in for the procedure, consult a Kaya Skin Clinic dermatologist and ask for a free trial session to understand how your skin reacts to the treatment. 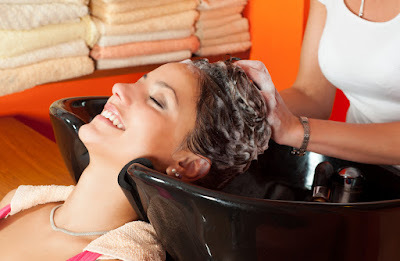 Treating your hair with the harsh chemicals in run-of-the-mill shampoos will leave your hair high and dry. Switch to something milder and more effective like Kaya Nourishing Shampoo. This will ensure gentle, nourishing care. If your busy schedule leaves you with no time to indulge in some healthy hair care, choosing your everyday hair care products smartly can help you get that mane you’ve always wanted. Opt for products that complement your hair’s natural texture and improve its health without any side-effects. Kaya Everyday Nourishing Shampoo can help you achieve bigger, longer, and shinier tresses when used regularly. Here’s a list of reasons why you should ditch your existing shampoo for this one. Most shampoos in the market come packed with chemicals that strip your hair of its natural nutrients. Frequently washing your hair with these—without taking counter measures to curb the harshness of these chemicals—can result in hair breakage or hair loss. The mild formula of Kaya’s Everyday Nourishing shampoo helps rinse off the toxins attached to the strands or scalp without drying them out. They boost the natural shine of the hair, without making it greasy. This Nourishing shampoo comes with exotic plant extracts that substitute for the lost nutrients and create an ideal balance for the hair and scalp. Hibiscus extracts present in this shampoo give your hair a healthy bounce and sheen. The almond oil penetrates into the deep layers of the hair strands and scalp to nourish them from within. These ingredients give a youthful lift to your hair and make it look livelier. This shampoo can be a game changer for someone who’s looking for quality hair care and little fuss. Rinse your hair with this shampoo frequently or as suggested by the experts at your local Kaya Clinic to get effective results. So, the next time you feel plagued by the dry and frizzy state of your hair, don’t fret; just use Kaya Everyday Nourishing Shampoo! You can read customer feedback and testimonials about different products and services, you can visit Kaya Skin Clinic Reviews. It goes without saying how confident you feel when your hair looks just the way you want it to. It doesn’t matter what your hair length is; regularly nourishing it with high quality hair products will make it lustrous and healthy. With the number of serums, shampoos, conditioners, and balms in the market today, choosing the right product for your hair can be quite a tedious affair. Choosing the right kind of products—specifically meant for your hair type—can give you breathtaking results. Here are some of the best products by Kaya that you can get for your hair. Using Kaya Nourishing Shampoo on a regular basis keeps your hair naturally soft and shiny, and reduces breakage. It is enriched with extracts of hibiscus and almond oil, which are incredible for hair growth and repair. Regular use of this aromatic shampoo straightens your hair too; make it smooth, silky and soft. It also removes oil and dirt, moisturizes hair, and drastically reduces hair fall. The Anti Dandruff Lotion from Kaya Skin Clinic contains OT complex, and is fused with actives that effortlessly remove and stop the growth of dandruff. Regular use of this lotion also helps reduce scaling and itching in the scalp. Other benefits of this lotion are that it doesn’t make your hair frizzy or dry, and keeps your scalp fresh and clean. If you want to improve the density of your hair, look no further than Kaya Hair Health Gel. Enriched with extracts of hibiscus, Saw Palmetto, and Gingko Biloba, this gel is your complete hair health product. The mineral contents in this gel rejuvenate your scalp, greatly reducing hair fall. This product can also be used as a substitute for hair oil, as its light and can easily be absorbed by the scalp. There are millions of satisfied customers all across India who’ve tried and tested Kaya’s hair care products. These are just the tip of the iceberg; there are many similar products available at Kaya catering to your hair care requirements. Read reviews on Kaya's hair care products here: Kaya Skin Clinic Reviews.